I’m the first to admit that when it comes to art, my taste is simple – I know what I like when I see it. For that reason, the imaginative yet simple in design artworks from Petit + Pois, curated by the uber talented Holly Addi are right up my alley and you can bet the kids will love them too. 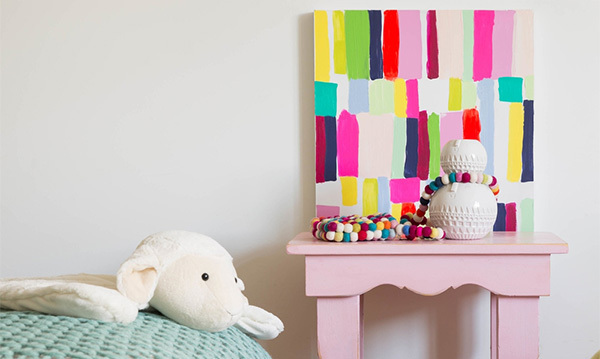 Petite + Pois is Holly Addi’s latest creation, original art for small peas, inspired by her own daughters with the intention of providing real art for children to appreciate – and we’re sure she’ll achieve just that. 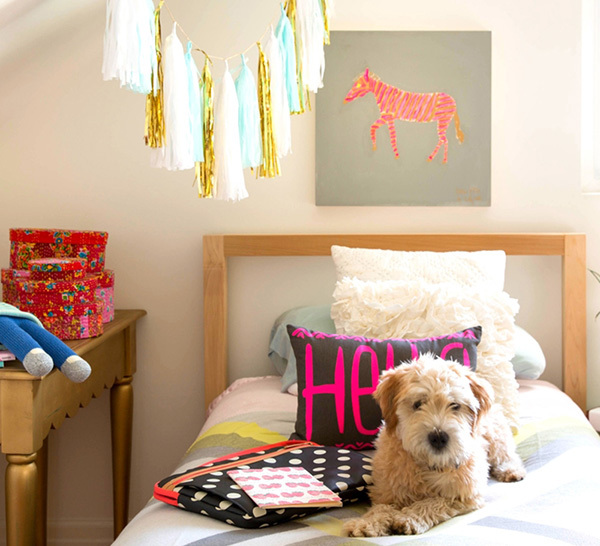 Children and adults alike will adore the childlike approach to colour and design, packing a cute decorative punch in any child’s space. Holly covers all bases in her current collection. There’s something for the fans of geometric and pattern prints, Coleurs (pictured above) being my pick of the gallery in all its bold coloured brush stroked glory. If animals are more your cup of tea, you can’t go past the gorgeous Renard works and of course there’s all things transport, a love for cars could be nurtured with Voiture. All Petite + Pois artworks are created on a 50 centimetre square gallery wood panel and priced US$150 each. To admire the whole collection and to make a purchase, head on over to Petite + Pois. Shipping to Australia is available.